Applicants should apply for the visa in person at least 3 months prior to departure. Please note the visa processing may take 6 - 12 weeksas all the applications have to be referred to the local German authorities. Simultaneous applications for short term visas and long term visas cannot be entertained. Please Note short term visas cannot be converted into residence permits after arrival in Germany. Please Note Applicants are requested to prepare 2 sets of the above mentioned documents along with their photocopies. Additional documents may have to be presented, if required. Please find further details and downloads below. Please find below the link to the online Application Form for a Student Visa. Applicants are requested to fill in the required details. The form then needs to be saved and printed and finally signed by the applicant to be submitted along with the other required documents. - The passport should have been issued (and not extended) in the last 10 years. - The passport should contain atleast 2 blank pages. -The passport should have a minimum validity of 12 months beyond the date of return from the Schengen territory. The visa fees are subject to change. Applicants have to pay the visa fees by demand draft. The Demand Draft must be in the name of the "Consulate General of the Federal Republic of Germany, Mumbai", payable in Mumbai and must not be older than two months. Please Note the visa fees will not be reimbursed in case of the visa being rejected. Visa fees will be waived off for spouses and children of EU-Nationals. Applicants are requested to submit the original and A4 sized copies of their marksheets and degree certificates. Only course completion certificates are not sufficient. Applicants are required to submit the original and A4 sized copies of proof of German language proficiency even if the medium of instruction at the German university is only partly German. Goethe Institute (Max Mueller Bhavan). 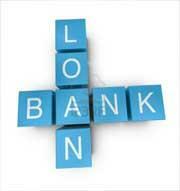 It is highly recommended that the money transfer is made by international bank transfer. Do not send bank drafts, moneyorders or cheques to open the blocked-account. -Confirmation of an annually renewable bank guarantee from a bank in Germany to the tune of € 8.040-. Please note: In individual cases, you may be required to provide additional documents. The fee for a so-called national visa (person plans to stay within Germany for more than three months, e.g. for a course of study) is 60 euro. Applicants wishing to stay in Germany for a period of more than 90 days but needing to travel to another Schengen country within the first three months of their stay (e.g. scientists) may obtain a so-called national “hybrid visa”. The fee for a hybrid visa is 60 euro. 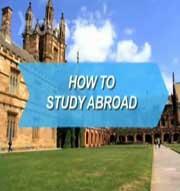 Australia's student visa program includes six student visa subclasses and a student guardian visa. Each student subclass is based on the education sector of your principal course of study. The Student Guardian visa is intended for guardians who wish to accompany a student under 18 years of age. Independent ELICOS 570 For overseas students undertaking an ELICOS (English Language Intensive Courses for Overseas Students) as a stand-alone course, and not as a prerequisite to commence another course. Schools 571 For overseas students undertaking a course of study at a primary school or a secondary school, including either junior and senior secondary school or an approved secondary school exchange program. Vocation Education and Training (VET) 572 Certificate I, II, III and IV, other than ELICOS; VET Diploma, VET Advanced diploma, Vocational Graduate Certificate and Vocational Graduate diploma. Student Guardian visa 580 For guardians who wish to accompany a student under 18 yrs of age on a student visa. Australia has a series of booklets designed to help you understand who qualifies to migrate to Australia, and how to make an application. Each booklet contains the necessary information along with the relevant application forms. These forms and booklets are provided as PDF files, which require the Adobe Reader on your computer. Assistance is available if you are experiencing any problems accessing, downloading or saving these booklets. The information here is based on paragraphs 56K-56M of the Immigration Rules. If you are an adult and you want to undertake a short course of study in the UK (such as a beginner's English Language course or a work-related training course), you might be able to come here as a student visitor. If you want to study a longer course, or you want to work (including on a work placement) alongside your studies, you should apply under Tier 4 (General) of the points-based system. We have produced a quick guide to help you decide which is the correct immigration category for you. Find out whether you meet the requirements to be astudent visitor. Information about documents that will support your application to enter the UK as a student visitor. Find out whether you need to apply for a visa as astudent visitor. Find out how to apply for a visa as a student visitor. This page explains whether you can appeal if you are refused permission to enter the UK as a student visitor. Please print a hard copy of your visa application form on good quality paper and bring this, together with all supporting documentation, to your appointment at the visa application centre. Please note that once you have completed your application form online, only small manual amendments to this form will be accepted for submission at the visa application centre. Please print the email confirming the details of your appointment, and bring this with you to the visa application centre you have chosen to attend. You should reach the visa application centre 5 minutes before your appointment time. The appointment must be made in your name. Another person cannot attend your scheduled appointment. When you attend the visa application centre, you will need to provide your biometric information, which includes a photograph and a digital scan of your fingerprints. If you have temporary injuries on your fingers, please wait until the injuries heal before your appointment date. You should also remove any henna on your fingertips, or allow it to fade, as this may prevent us from getting a clear scan. Every applicant who is submitting a visa application must attend the visa application centre in person. Children under 5 years need to attend, but are not require to provide their biometric data. Children under 16 years need to be accompanied by an adult and this cannot be a member of VFS staff. Note: You cannot book an appointment by visiting or telephoning the visa application centres unless you are applying to use the Fast Track, Prime Time or Premium Lounge facilities. Before sending/lodging your visa applications please ensure that you have included all the documentation as mentioned on the guidelines below. All documents submitted in support of an application must be originals, or certified copies unless uncertified photocopies are specifically requested on the relevant INZ form or guide. Certified copies must be stamped or endorsed as being true copies of the originals by a person authorised by law to take statutory declarations. Examples: a lawyer, notary public, Justice of the Peace, or court official. If you are providing original documents, please ensure copies are also submitted. An immigration officer may request to see the original documents before making a decision on the application. TTS is the specialist company contracted by Immigration New Zealand (INZ) as a collection agent for visa applications. TTS charges a fee for their services of INR 860 per application submitted. This is payable by way of a Bank Draft favouring ‘TT Services’. They accept visa applications on behalf of Immigration New Zealand, New Delhi Branch based on the area where an applicant resides. Hence all applications / documents should be sent directly to TT Services. New Delhi, Himachal Pradesh, Rajasthan, Uttarakhand, Uttar Pradesh, Jammu & Kashmir. Maharashtra, Goa, Madhya Pradesh, Chhattisgarh, Daman and Diu, Dadra and Nagar Haveli. West Bengal, Orissa, Bihar, Jharkhand, Sikkim, North East states. Tamil Nadu, Lakshadweep, Puducherry, Andaman & Nicobar Islands. Contact details of TT Services collection centres across India is given on the last page. bear the stamp or signature of the translator. New Zealand’s Immigration Advisers Licensing Act 2007 aims to protect migrants by licensing people who provide New Zealand immigration advice, both within New Zealand and offshore. Anyone who is providing immigration advice about New Zealand immigration matters must be licensed, unless exempt. People who provide immigration advice offshore on student visa applications only are exempt from licensing. This exemption does not cover advice on any other associated application types submitted with a student application, such as guardian, visitor or work applications, or subsequent graduate work, work experience and residence applications in New Zealand. Please note that Immigration New Zealand will continue to liaise with and accept applications for student visas from individuals and/or agents that are not part of the Education New Zealand approved group. The following documents are required to be submitted with a student visa application. Please note that the order of the documents attached to the application should be the same as mentioned below. Please ensure that ALL questions on the Student Visa Application Form AND the Supplementary Information Form (attached with the checklist) complete with the family details of the applicant (pages 6 and 7 of this guide) are answered fully and in English. Both forms should be signed and dated. Passports must be valid for 3 months beyond intended date of departure from New Zealand. Passports should be submitted in original along with the application. In cases where the original passport cannot be submitted, applicant is required to submit attested copy of the complete passport. Two recent passport sized photograph (must be less than 6 months old) should be affixed to the visa application form. 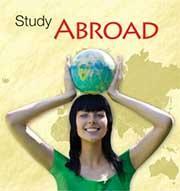 The current student visa fee is Indian Rupees INR 11,100. We do not accept CASH, credit cards or have EFTPOS. The fee must be paid by bank draft ‘payable at par’ and drawn in the name of “Immigration New Zealand”. We do not accept drafts payable to New Zealand High Commission or Embassy. The current student visa fee in US dollars is US$225. The fee must be paid by bank draft in US dollars only drawn on any bank in “USA” and made payable to the “Immigration New Zealand”. We do not accept drafts payable to New Zealand High Commission or Embassy. Note: The application fee is not refundable in case your application is not successful. Due to currency fluctuations, fees are subject to change without any notice. Please give the background of the student covering the evidence of funds and the student’s English Language ability. In addition please provide a statement of purpose which should contain reasons as to why the student is applying, what he/she wishes to do and how the course would help him/her in the future. This statement of purpose should be hand-written by the student himself/herself. Fee-paying foreign students who are under the age of 18 must provide, with their student visa application, a statement from their education provider confirming that the student’s accommodation is compliant with the Code of Practice for the Pastoral Care of International Students. Financial Undertaking Form/s (If more than one guarantor). Affidavit/s of Support from Guarantors (also stating the exact relationship of the guarantor with the applicant). The guarantor must provide documentary evidence of their identity including date of birth, proof of signature and full contact details including telephone numbers. Authorisation letter/s from guarantors authorising Immigration New Zealand to verify their financial documents on their behalf. If guarantors are outside India the contact name and telephone numbers/e-mail addresses of officials in the Bank who can be contacted for verification. Latest bank statements for the past 6 months. It should not be more than 1 week old at the time of lodgement of the application. Please ensure that statements and not balance certificates are provided. Fixed Deposits. In case of providing fixed deposits as evidence of funds please ensure that a copy/counterfoil of the deposit along with a letter from the bank giving the details of the deposit is provided. Public Provident Fund Accounts/Employers Provident Fund Accounts. Please note that the telephone numbers along with the STD codes of the place/institution where the funds shown can be verified should be provided with the financial documents. Applicants are required to provide documentary evidence of income and source of income of their parents, even if the cost of study is being sponsored by another person. 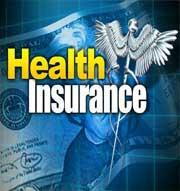 What can an acceptable payment plan include? INZ has put in place a system wherein the students may choose to transfer 12 months’ living expenses to a bank account in NZ, in addition to paying the tuition fee for 1year. The amount deposited in the bank is locked for a period of 12 months and then drip fed to the student on a prearranged basis. The funds transfer option is to facilitate student visa applications from those students who genuinely intend to study in New Zealand but may not have access to funds older than six months. Students who opt for this process will not be required to provide verifiable documentary evidence to demonstrate the source of recent funds. This option does not preclude the applicant from submitting satisfactory evidence of funds and source of income for their financial guarantors. Please note that if you intend to pursue aviation or marine courses in New Zealand, then evidence of your related qualification and/or work experience should be provided. Evidence of English language ability can be a very good indicator of how the student will manage the requirements of a New Zealand course that is taught in English medium. 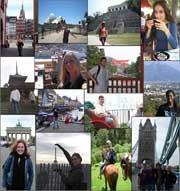 We therefore, regard proficiency in English language as a positive indicator in assessing a student visa application. We strongly recommend that IELTS certificate is provided with the student visa application. New Zealand Education Providers will have their own English language requirements for an offer of place depending on the course you enrol in. The following guidelines have been suggested to us by a number of Education Providers in New Zealand and reflect their experience with students from this market. English scores in CBSE, ICSE, Maharashtra, West Bengal and Tamil Nadu boards can also be presented in lieu of IELTS reports. A 60% score in English from one of the aforementioned boards is considered equivalent to an overall IELTS score of 5.5; 65% is considered equivalent to 6.0; 70% to 6.5 and so on. Notwithstanding this, if an IELTS result is available, it is considered as conclusive evidence of student’s English language ability and considered against the course entry requirement. We have to be satisfied that the student meets the entry requirement for the course they enrol in. We do not consider TOEFL results in isolation as conclusive evidence of English Language ability, as they are unable to be readily verifiable. We strongly recommend that if a student is to undertake a test they should undertake the IELTS test so that their level of English is clearly measured against the course requirement. You may also provide any other additional information in support of your English language ability. Any other evidence provided in relation to English language proficiency will be considered and should be supported by a full explanation as to why this might demonstrate that you meet the required level of English. We take account of the evidence and all the circumstances of the application (which includes nature of your employment history, qualification) to assess if you meet the minimum standard of English language required for the course you are enrolled in. If you are working and/or have worked in the past please provide all work references from your employers on company letterhead and any other documentary evidence to demonstrate you have been employed. The company address and phone number must be included on the letter. ii any associated medical reports required for the X-ray. All applicants who intend to stay in New Zealand for a total of more than 12 months must undergo a full medical and x-ray examination. Submission of TB screening and report and/or full medical report (as applicable) is a mandatory lodgement requirement. Note: Pregnant women and children under the age of 11 are not required to have an X-ray examination. INZ has appointed Panel Doctors. The medical certificates must be completed by one of the panel doctors and x-ray reports should be completed by a Radiologist referred by a panel doctor. Please visit http://www.immigration.govt.nz/branch/India for the details of the Panel Doctor in India, Nepal and Bangladesh. All applicants who are above the age of 17 years and intend to stay in New Zealand for a total of more than 24 months must provide their Police Clearance Certificate. Certificates must be less than 6 months old at the time it is submitted to us. For applicants in India, only Police Clearance Certificates issued from the Regional Passport Office (The passport office which has issued your passport) of the Ministry of External Affairs or from the Office of Deputy Commissioner of Police are acceptable. Applicants in other countries should contact the local police authorities. For information on documents required for the pre-verification process please contact Immigration New Zealand or Faisal K Siddiky at BNZEF. All student visa applications are currently being processed at INZ Mumbai and being allocated to an Immigration officer for assessment within two-three weeks of being received by INZ. Total processing time should be 8-10 weeks depending on the level of investigation and verification required. Please note that you may be required to attend telephonic interview, an interview at our Office or to provide further information to enable us to make a decision. You will be informed of this when the application is allocated to an immigration officer. An immigration officer may contact you for an interview. The purpose of an interview, if required, is to help INZ make a decision on your application. If you fail to be interviewed when contacted a decision will be made on your application with the information provided. As well as meeting all mandatory requirements for lodging your application for a temporary entry visa, you will need to demonstrate that you are ‘bona fide’ and that you intend a genuine temporary stay in New Zealand for a lawful purpose. any documents or submissions showing that you meet the requirements of the immigration instructions relevant to the type of temporary entry class visa or entry permission applied for. When assessing your application, the immigration officer will determine whether you have met all requirements as set out in the relevant immigration instructions. This includes whether or not you are bona fide. any circumstances that may discourage you from returning to your home country when any visa expires. Any other requirement which needs to be fulfilled at that stage for the visa to be issued. We will require 5 working days after the receipt of all final documents to issue your visa. The visa would not be issued any earlier than 3 weeks prior to course commencement. Future Visas: Please note that where feasible INZ Mumbai will issue future visa’s and it is the applicant’s/ agent’s responsibility to ensure that the visa holder does not arrive in New Zealand before the ‘start date’ mentioned on their visa label. In an event where the visa holder travels before the ‘start date’ mentioned on the visa label, there is a high probability that they will be refused boarding while departing India or turned back at the border on arrival in New Zealand. Note: All passports are returned by registered mail or courier, unless other arrangements are made by the applicant. Passports are sent by courier within India, only at places, where courier service is available. Please note that if the course duration in New Zealand is more than 1 year, the student visas will only be issued for 1st year of study irrespective of the fee paid by them to the education provider. The student will have to apply for and meet the requirements for a further student visa in New Zealand. The only exception is when students are pursuing a course of study at an education provider who has a MOU with INZ. 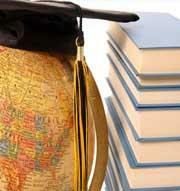 the education provider supports the grant of a length of course visa. Evidence of the education provider's support to grant a length of course visa must be provided. Acceptable evidence may include written confirmation from the education provider, such as an offer of a place which indicates the education provider's support. In above cases, the student would need to pay the entire tuition fee to be issued with a two year student visa. All general e-mail and telephone queries will be received by the Contact Centre staff who will reply to all general queries related to visa applications. Telephone enquiries will be answered from 9.00am to 3.00pm from Monday to Friday. All e-mail queries will be responded to within 72 hours. The general queries can be sent to inzmumbaibranchstudent@dol.govt.nz and we would aim to reply to you within 48-72 hours. Why do you wish to study in New Zealand? Please provide brief details of your family background. A student permit holder who breaches any of the conditions of their permit (in particular those relating to attendance, employment) is liable for a revocation of student permit. You may face removal action and may be barred from re-entry to New Zealand in the future. Do you understand this? Living costs in New Zealand are expensive compared to India. It is important that you have enough money to live on. In addition to your accommodation costs, you will need at least an additional NZ$400 (USD $200) per month for books, stationery, bus fares, living expenses and health insurance. If you pay for your own accommodation in New Zealand, you may need up to NZ$1,000 (USD $450) per month for accommodation and the living costs above. Do you understand this? I confirm that I have read, understood and answered ALL the questions contained in this questionnaire. The American Citizens Services (ACS) of the U.S Embassy and Consulates in India Unit offers passport and citizenship services to U.S. Citizens in India. U.S. Citizens who wish to avail of the passport services offered by ACS of Mumbai, Kolkata and Hyderabad only can avail the U.S Passport Courier Service offered by VFS. The applicants can proceed to any of the VFS U.S. Visa Application Center Mumbai, Ahmedabad, Pune, Kolkata and Hyderabad to submit a completed courier delivery address slip and purchase a VFS courier envelope by paying a charge of Rs. 166/-. The details mentioned in the courier delivery address slip are as given below. Delivery Address / Hold at Location. The applicant is handed over an addressed courier envelope which he then submits to the respective American Citizen Services Unit with the required documents for the request to be processed. The American Citizen Services Unit processes the request made by the applicant and hands over the sealed envelope containing passport which is then couriered to the address provided by the applicant or to a Blue Dart (Hold at Location) centre if the delivery address is not serviceable. Note: In addition, the applications received by courier at the Consulate are also directed through VFS wherein the payment is received in the form of a draft from the applicant along with the courier fee. In this case the entries are made and the envelope is submitted by VFS to the American Citizen Services Unit. The applicant will have to prepare the draft of Rs 166/- favoring to “HDFC Bank A/c VFS” and fill up the VFS Courier Slip and send it with the courier to the Consulate. Please refer to the links below for detailed information on American Citizen Services pertaining to each consular post. Chandigarh & Jalandhar Visa Application centers: 8:00 am - 9:00 am (Mon- Fri). Other centers: 8:00 am - 10:30 am (Mon- Fri).